Worcester, Massachusetts is not even a byway, much less a highway, of the blues. Mississippi’s Highway 61, Memphis’s Beale Street, Chicago’s Stony Island Avenue, home of the Burning Spear–those public ways will take you to the blues, but not the streets of New England’s second-largest city. Worcester is better known for Isaiah Thomas (the colonial printer, not the basketball player), Bob Cousy (the basketball player, not the colonial printer) and not one but two members of The Algonquin Roundtable of literary wits, Robert Benchley and S.N. Behrman. Take that Hartford! Isaiah Thomas: You can tell them apart by the extra “a”. I have written elsewhere about my chance musical encounter with Mississippi Fred McDowell, but on the South Side of Chicago, where I played with that bottleneck guitarist, you’re surprised if you don’t run into a blues legend. In Worcester, you are more likely to see a Kilgore Rangerette than a member of the seminal group of musicians associated with Chicago’s Chess Studios, where the urban blues and r&b sound was forged. Worcester is better known as the place where a group of white British blues imitators–the Rolling Stones–dropped in to a club called Sir Morgan’s Cove to warm up for their 1981 American tour. These days, more people probably know about that surprise gig than anything S.N. Behrman ever wrote. Hell, more people claim to have been there (I wasn’t) than know who S.N. Behrman was. But it was in Worcester that I stumbled into a club one night with a friend to find Dixon, playing stand-up bass, leading a group of Chicago musicians that included Carey Bell, a blues harp player who never got the acclaim he deserved. The Rolling Stones, Sir Morgan’s Cove, Worcester, Mass. I know the guy who took this picture if you’d like to buy a copy. 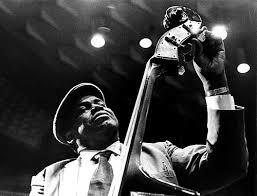 I’d seen Bell play when I lived in Chicago, but not Dixon, who was a patriarch of the blues. Gods do not answer letters, John Updike wrote of Ted Williams, nor do they play neighborhood gigs. 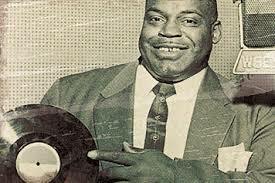 Dixon’s relationship with the white owners of Chess Records was strained, however, and the friction stemmed from Dixon’s discovery in the 70’s, when his health was beginning to fail, of how much value he’d brought to the record label, and how little of it he’d received. Dixon consequently spent a good deal of time in his later years–the 70’s and 80’s–on the road, trying to support himself. The list of Willie’s compositions reads like a 60’s and 70’s hit parade; Back Door Man (covered by The Doors), Hoochie Coochie Man (The Allman Brothers, Steppenwolf, Eric Clapton, Jimi Hendrix), I Ain’t Superstitious (The Yardbirds, The Grateful Dead), I Just Want to Make Love to You (The Animals, The Kinks, The Yardbirds), Little Red Rooster (The Rolling Stones) and Spoonful (Cream, Canned Heat, Ten Years After). In short, Dixon was a Cole Porter and Gershwin Brothers of the blues, rolled into one. He even looked the part, as he was (to paraphrase a line from one of his songs) built for comfort and not for speed. Or to borrow the title from another song of his, he was literally 300 Pounds of Joy. The crowd that night was small, which was good for Willie’s constitution, since he didn’t have to sing out over a noisy room, but bad for business, as the group was no doubt playing for a share of the gate receipts. At the end of their set, Willie asked if anybody in the audience wanted to jam. There are certain opportunities that come your way but once in life. The tide in the affairs of the blues, as Shakespeare’s Brutus might have put it, was at the flood, and I took it. I introduced myself as a former resident of the South Side of Chicago, and it was old home week. I told Willie I’d learned to play harmonica there, and Carey Bell offered me his. Taking a harmonica from Carey Bell to jam is like being handed a violin by Itzhak Perlman in front of an orchestra. You need to remind yourself that you’re not going to do any better than him, so don’t get fancy. I don’t remember what we played, but my roommate told me afterwards that I didn’t totally embarrass myself. That’s how guys express their enthusiasm. That experience links me to harmonica history in a very tactile manner: Bell no doubt swapped harps with James Cotton, who no doubt used Little Walter Jacobs’ instrument, so my lips can trace a lineage back to the Book of Genesis in the Old Testament of the Blues Harmonica. In case we ever kiss. Willie’s leg had to be amputated due to diabetes in the 80’s, and he died in 1992. He was inducted into the Rock and Roll Hall of Fame posthumously in 1994, years after many of the white groups who made their names and fortunes singing his songs.